Extraordinary books are better when they're shared. Swoon Reads distributes the most recent and most noteworthy young adult and new adult novels suggested by readers like myself. From brave legends to outsider undertakings, to romance—if we're digging it, they'll distribute it. Swoon Reads is dedicated to the undiscovered and are constantly seeking out the very best in bright, new bookish talent. Being a writer myself, there's nothing better than a publisher who takes the time in finding new talent, so you can imagine my support on this as well. To learn more about Swoon Reads and what I'm currently reading, proceed with this post! You have the ability to get books distributed! Through a shared, participatory way to deal with distributing, Swoon Reads gives readers access to an industry that is frequently kept "in secret." From submitting unique original copies to voting on which cover makes it onto the completed books, Swoon Reads includes the network in each progression of the distributing procedure. Through Swoon Reads' online stage and application, book sweethearts have the chance to manufacture and draw in with an online network of kindred book readers and writers. Writers present their unique, unpublished compositions to the Swoon Reads people group. 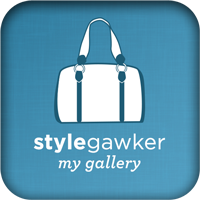 At that point, readers who join on the web or download the application can rate, remark, and offer their top choices. Swoon Reads utilizes that input to help choose what to distribute. The best part is it's all totally free. I discovered this is an awesome method to give new scholars a possibility for presentation and furthermore to get input as well as finding new talent. What do you guys think of this concept? You can ever vote on covers for books that are coming out here! Most of you know I'm a complete bookworm and I've read thousands of books. I enjoy reading complex work such as Dostoevsky, Tolstoy, and others but during those hot summer months, I like nothing more than something simple and 'flowy' to read. Like a young adult novel (YES I still read them from time to time!) or a romance novel that just whisks you away, these are the kinds of books I like to read at the beach and on vacation. For example, like the book, I'm currently reading is an utterly relatable contemporary novel about loving yourself and forging your own path. Here's the synopsis: Savannah is dreading being home alone with her overbearing mother after her big sister—and best friend—goes off to college. But if she can just get through senior year, she'll be able to escape to college, too. What she doesn't count on is that her mother's obsession with weight has only grown deeper since her appearance on an extreme weight-loss show, and now Savvy's mom is pressuring her even harder to be constantly mindful of what she eats. Between her mom's diet-helicoptering, missing her sister, and worrying about her collegiate future, Savvy has enough to worry about. And then she meets George, the cute new kid at school who has insecurities of his own. As Savvy and George grow closer, they help each other discover how to live in the moment and enjoy the here and now before it disappears. 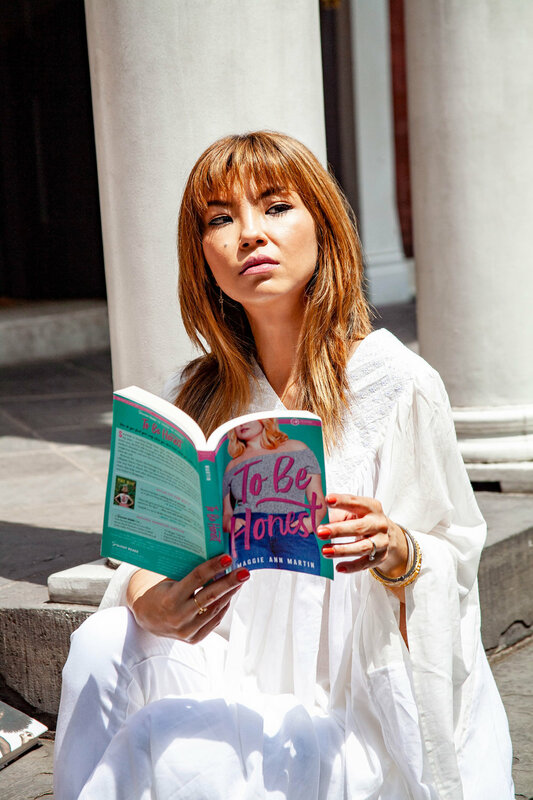 To Be Honest is another sharp, witty novel from Maggie Ann Martin, about a spunky heroine who is dealing with very real issues—body image, parental pressure, loneliness, first love, and finding your way—with heart and humor. So get excited for all the benefits that Swoon Reads offers as a community-focused, participatory publishing company — including starting conversations among like-minded book lovers, unlimited access to free original manuscripts, and the opportunity to make your opinion count toward something tangible! If you'd like to learn more about Swoon Reads, please go to www.swoonreads.com or click here! Wishing you all a wonderful weekend. The beginning of last year was the start to a very humbling experience. 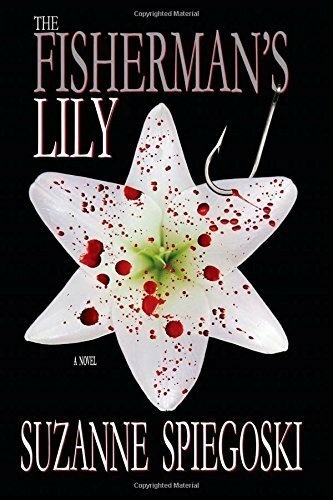 One year ago to this date, after spending over four years writing my first novel, my debut crime-thriller novel, The Fisherman's Lily was published by TouchPoint Press. Some of you may have heard about it, or may have also read it (which I very much so kindly thank you from the bottom of my heart! ), but what some of you may not know is the origination of the story. Where it comes from. What made me finally want to put my metaphorical pen down to paper. And with today being my one year anniversary, I wanted to fill my readers with more details about the story behind the written story. So where on Earth did I get this idea from? Well, it all starts back when I was just a teenager. While in high school I took a creative writing class. The teacher read a short story of mine and afterward insisted that I “should be a writer.” I’ve been writing ever since. I initially wrote several more short stories before taking an immediate interest in poetry. Percy Bysshe Shelley and William Butler Yeats were like long-lost friends to me during my teenage angst. When a few of my poems were published while in high school and in college, that sparked a deeper passion to perhaps take my writing a bit more seriously. I began working on a memoir for several years before putting it on the back burner because I felt like I had a lot more to accomplish before completing an enormous project of that kind of magnitude. That and it's deeply personal to write about. That's when a lightbulb went off in my head. Why not take a stab (ha, ha I'm #punny) at fiction? And more in particular: crime fiction. How come? Not long ago, and initially wanting a career within law enforcement, I took it upon myself to receive a B.A. in Criminal Justice from Michigan State University. After obtaining my degree, I moved to New York City to continue pursuing my career as a police officer. But two weeks before entering the police academy, I felt I wasn't being true to my heart. For whatever reason, even with good intentions, it didn't feel right. I also wanted to fall in love, get married and have children, but I wasn't going to share my life with someone if I was in that kind of profession. I would've chosen to only be married to the job. Something was still pulling at my heart's strings. That's when I started ferociously writing every night, just to get the ick out of me and what was going on in my life. It didn't take long before I realized I wanted to change careers to pursue my ambitions as a writer, and very quickly was inspired to write about what almost could have been. And the best part? Writing fiction of course! Full Book Cover, front & back. So, what is my book about? Lily Dietz, is an attractive New York homicide detective who doesn’t take crap from anyone. Her career is hindered by her psychological and physical frailties. Apart from being a borderline alcoholic she is close to being a full-blown manic depressive. With her partner John Fremont, Lily becomes engrossed in the hunt to catch a killer who favors Asian-American women – a category she herself falls into. As the race to unmask the murderer gathers pace, Lily must prevent herself from turning from hunter into prey. The Fisherman's Lily is like an onion. It has many layers. I would describe the novel to be a mixture of police procedural, detective fiction, thriller/suspense and a family saga. It is dark crime and I would not say it is for everyone (it can get quite gruesome) but other parts of the novel discuss the complexity of our emotions and the human condition, such as feelings of anger, guilt, redemption, sadness … love. And how it all correlates within the relationships we have with others and ourselves. Enter your chance to win a free signed copy of The Fisherman's Lily on Instagram NOW! Got questions about my book or my writing? Leave comments below! I love interacting with new readers and other like-minded blogs, and of course, I can't leave out the familiar faces! Thank you so much for your continued love and support. I am forever grateful for you! Thanks for stopping by and reading more about my life and my work. Don't forget to go on Instagram and enter your chance to win a free copy of The Fisherman's Lily! Have a great rest of your Tuesday! The Fisherman's Lily is available on Amazon & Barnes & Noble, in kindle and paperback. Follow The Fisherman's Lily on Facebook!